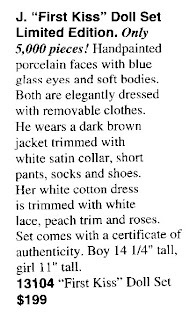 A closeup of the description, so you can savor every drop. Making it wet and sloppy, and all for only $199! And remember, the clothes are removable! Thanks to Rusty for sending me this atrocity (don't know in what catalog he found this). It made me weep. 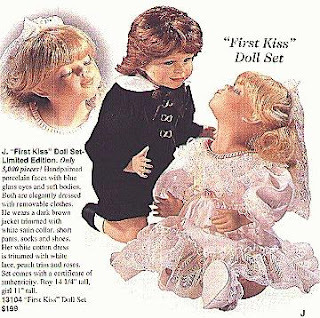 $199 is pretty cheap for a "first kiss" --with or without removable clothing!